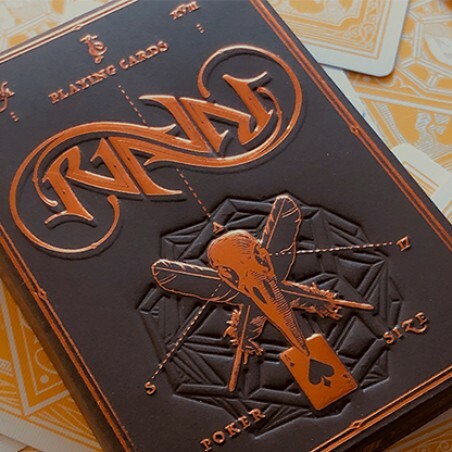 Ravn Sol, has a yellow back and chocolate brown tuck, with metallic orange foil and embossing! 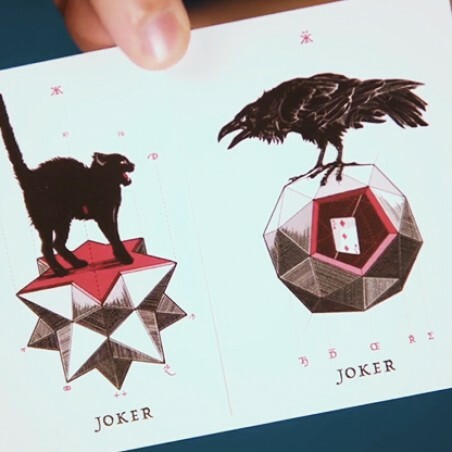 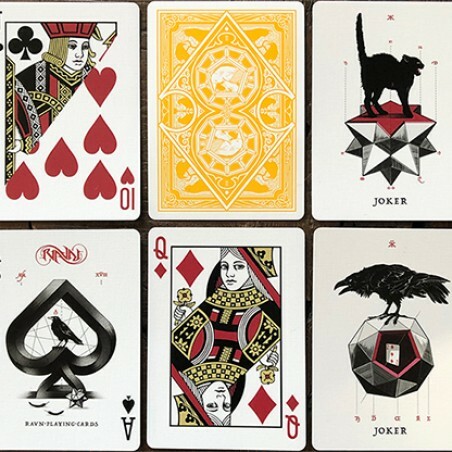 2 gaff cards: Jack of Clubs/10 of Hearts and double backer. 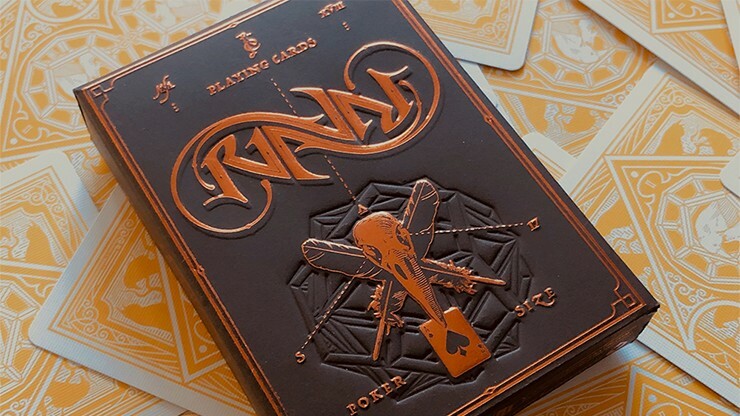 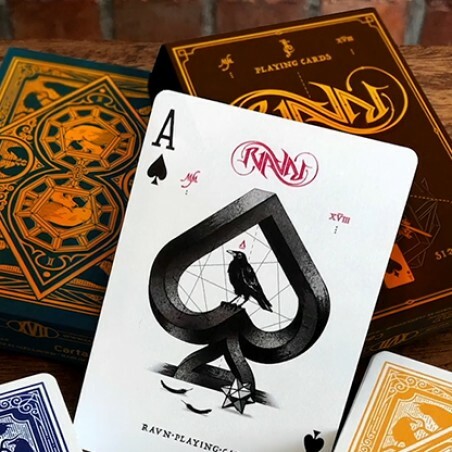 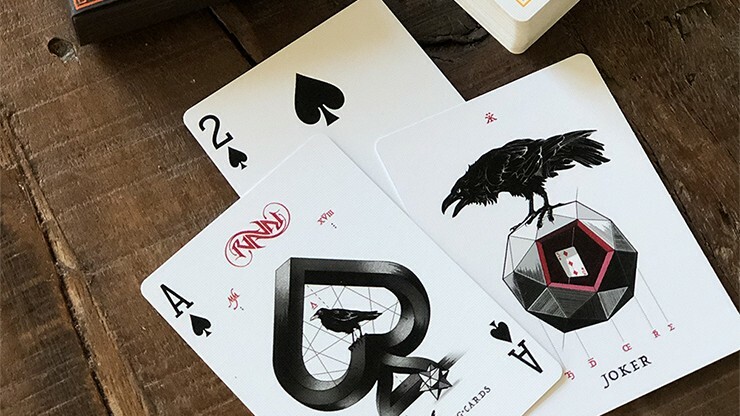 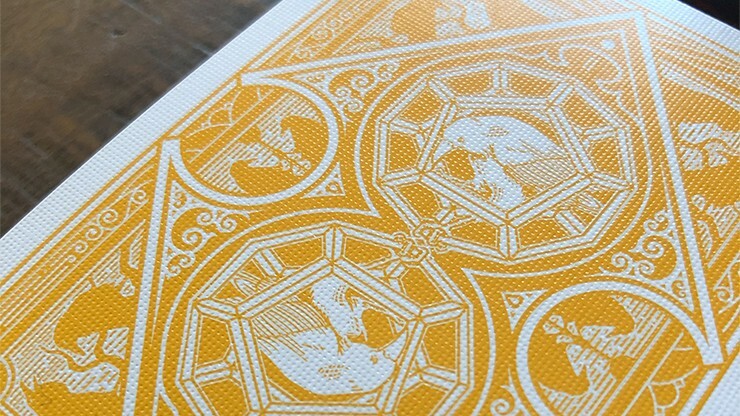 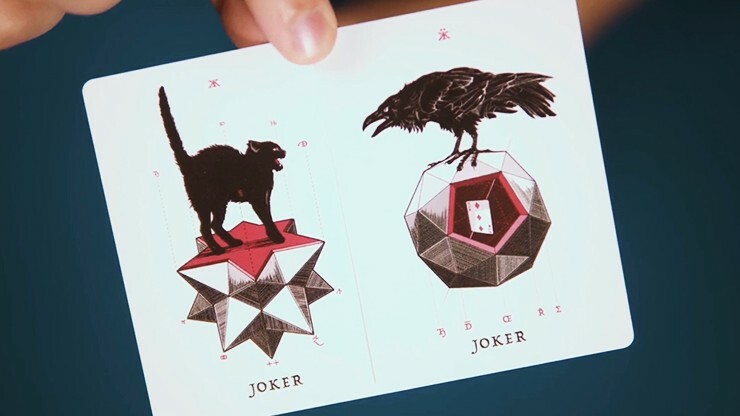 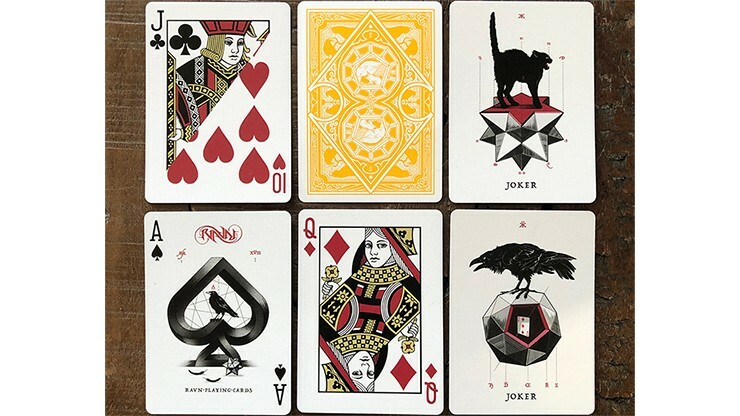 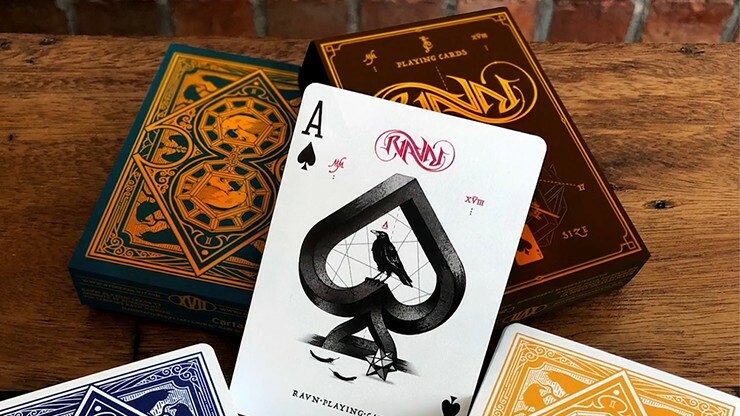 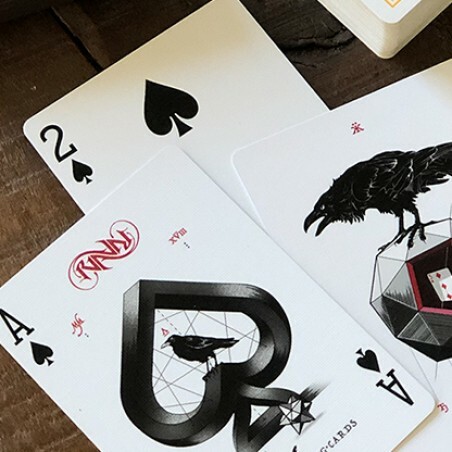 The tuck box is printed by Oath Playing Cards and is made with Soft Touch paper. 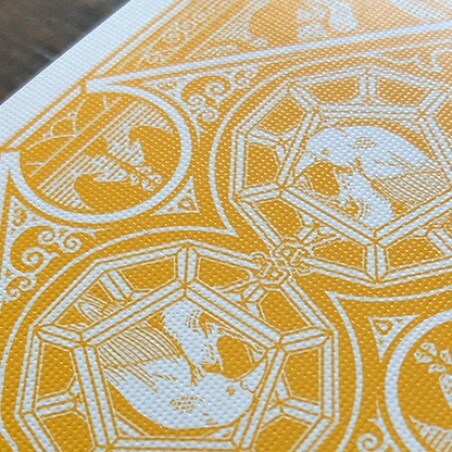 Tuck box and cards are cello-wrapped.